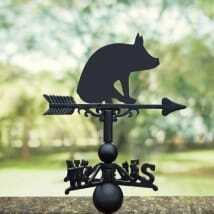 From cherished domestic cat breeds to famous cats seen throughout literary and film history, our range of cat weathervanes offers something special for all cat lovers out there. 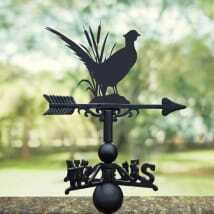 Our weathervanes have been meticulously crafted from cast iron and robust steel, and hand-finished to ensure that each piece represents a high quality of metalwork design. 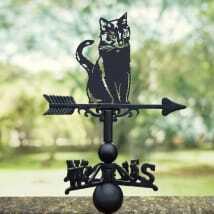 These lovable feline weathervanes will bring a real sparkle to your home for many years to come. 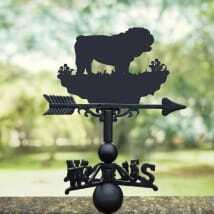 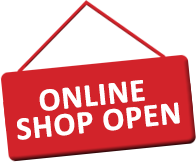 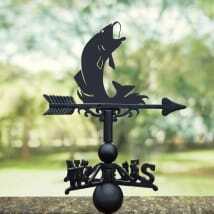 All of our weathervanes come supplied with all necessary fixings and a universal bracket for ease of fitting. 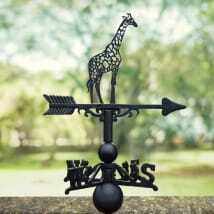 Please note that our weathervanes are designed primarily for decorative purposes only and will not have the same level of accuracy or responsiveness as other wind measurement devices would.